Internet marketing goes well beyond search engine optimization, encompassing elements of inbound marketing, content marketing, paid advertising, pay-per-click campaigns, social media marketing, email marketing, and much more. Internet Marketing is the most important service element to ensure that you see a good return on investment from your website; so much so that some companies focus specifically on the internet marketing aspect. Unfortunately, this strategy is doomed to fail. Successful internet marketing is inextricably linked to good on-page and on-site SEO development, together with website design, usability, and visitor conversion. Why Choose Denver Web Success for Internet Marketing? Unlike large agencies, Denver Web Success can provide you with personalized attention, always accessible and responsive. Feel free to contact any of our clients for references – we have an extremely low turnover rate. There are plenty of companies that can sell you internet marketing services, many of them not even in the Denver area. However, if you are looking for a local company that will educate, consult, and work alongside you to produce an effective and successful online presence, then Denver Web Success is your best choice. You can read more about our Denver web services and our website marketing process. 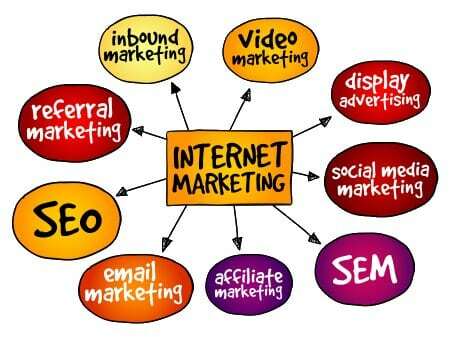 What Internet Marketing Strategy is Best for You? Denver Web Success does not believe in a one-size-fits-all approach. During the initial, free website analysis we will look at your online market, your competitors, and your existing website. Armed with this invaluable information, we will propose a custom solution that works best for you, your goals, and your budget. This is why, unlike many web agencies, we do not simply try to sell you a bronze, silver, or gold package – our clients do not fit into packages. Here are some examples of how this works with actual clients. One of our clients loved their existing website design, but the website was not configured to attract their target market and convert visitors. We educated and advised on the best approach to maintain the design while achieving the necessary optimization and conversion objectives. We then followed this with an internet marketing strategy to improve their visibility. Another client did not want to change their website, but did want us to help them understand the unusually high bounce rate in their analytics before they embarked on pay per click advertising. One client’s website had been generating a lot of traffic until it was hit by a Google penalty. Denver Web Success helped them to recover from the penalty, improve on-site and off-site optimization, and build back to their previous levels of success. Yet another client had a free website that simply was not generating any business. Denver Web Success educated the client, and then carried out keyword research, new website design and development, plus internet marketing. The client’s website went from 0% visibility to 83% visibility in search engines and became the primary source of new business.